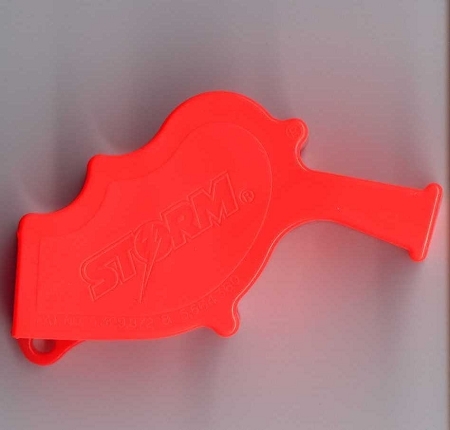 The Storm® All-Weather Safety Whistle is the loudest whistle on the market. It's unique patented design allows it to be heard under water, up to 50 feet, because the sounding chamber forces all water to be purged when the whistle is blown. Made in the USA. It's perfect for divers, lifeguards, and for recreation! Creates a clear, high frequency sound, with a power rating over 75% greater than other referee and safety whistles.